Tom is an experienced musician and teacher from Milford Haven, Pembrokeshire, and now based in London. He is the bassist for Jodie Marie, Valleyers and Jimmy Brewer, as well as doing other session work, recordings and gigs all over the UK. If you are interested in booking a professional bassist for a gig or recording of any style or genre, anywhere in the world, feel free to get in touch. 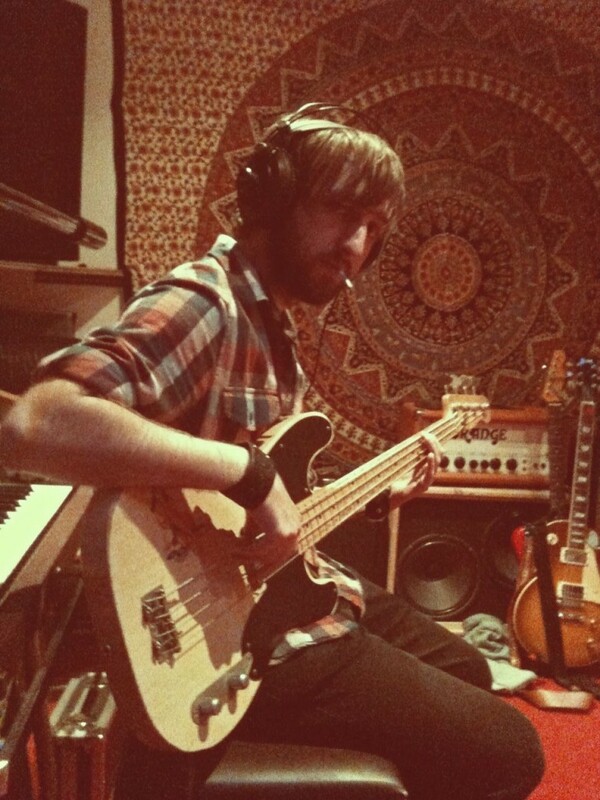 Tom now offers an online bass tracking service in conjunction with StudiOwz, playing and recording high quality bass for any tracks you require via email. These could be anything from precisely notated parts to lines based on short audio examples of grooves. Check the Media section of this website for audio and video clips, as well as photos of Tom in action. Tom also teaches bass guitar lessons, electric and acoustic guitars, and jazz theory/improvisation from his home, in person and via Skype. He has a BMus (Hons) degree in Jazz from Birmingham Conservatoire (UK), is a former member of the National Youth Jazz Orchestra of Wales and has years of teaching experience. Many of his former students have proceeded to study music at degree level. For further information on lessons, please visit the Teaching section of this site. Also, please visit the Lesson Archives on this site for a selection of free online lessons and advice. Learning Licks – Good Or Bad?